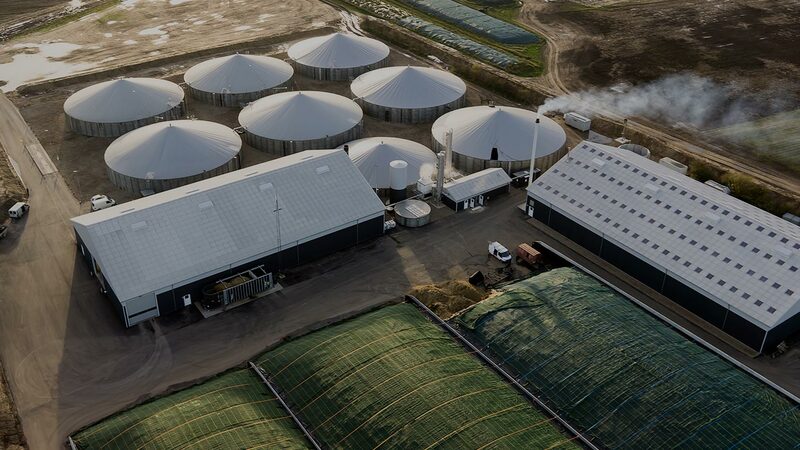 Why should you choose biogas? Degassed manure smells less than traditional manure, is more homogeneous and easier to dose on the field. Degassed manure is also easy to NPK-declare. The nitrogen and phosphorus in the degassed manure is more easily absorbed by the plants. This greatly reduces the leaching of nutrients into the groundwater. When the manure is processed in a biogas plant, the amount of bacteria is reduced significantly and weed seeds are rendered harmless. The Madsen brothers have grown their own supply of energy crops. It primarily consist of corn silage, but whole seed is also added in the dosing systems from Fliegl. 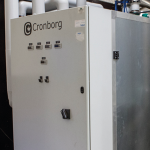 To increase the heat utilization at the biogas plant, a ”Cronborg” heat pump is installed. 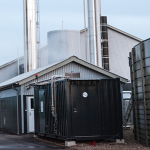 The heat pump uses the heat from the degassed biomass to heat up the cold raw manure that is added to the biogas plant. Yearly, the plant is fed with approx. 100.000 tons of manure. The unloading takes place in the unloading hall and the tanker brings the degassed biomass to the suppliers. 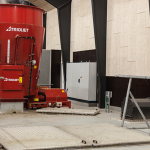 To produce heat for the upgrade plant ”Madsen Bioenergy” has installed a ”Lin-Ka” straw furnace with straw lane. The straw furnace produce 1 MWh. As backup, a gas furnace is installed, which uses bionatural gas. The gas kettle also produce 1 MWh. The plant is also able to handle 2. generation biomass (deep litter, straw, grass seed straw etc.). In this picture, deep litter from Skive Horse Track is added. 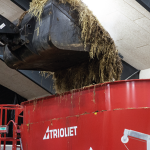 All biomass is led through a ”Vogelsang Rotacut” where it is shredded. 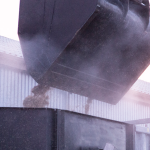 The manure and the firm biomass is added to the mixing tank where it is made pumpable (10 – 13% TS). Air is suced from the mixing tank, so that the smell from the loading hall is reduced significantly. 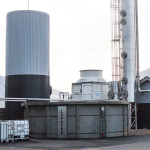 The upgraded biogas is sold to ”HMN Naturgas”. 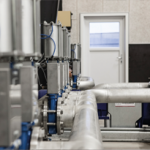 HMN has a metering station at the plan which controls the quality and the amount of the upgraded bionatural gas. Afterwards, the gas is led to a MR-station approx. 11 km. from the plant. 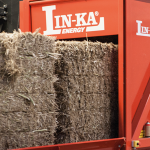 The biomass is pumped from the shredder to the two heating modules from ”Landia”. The biomass is shredded further and is heated to 60 – 65°C. 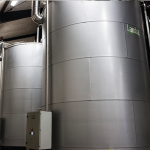 The heating modules can also work as hygienic tanks if necessary. 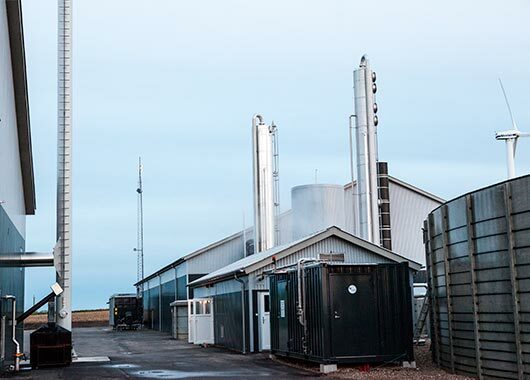 At Lundsby Biogas we follow our customers not just from start to finish, but we also keep in close contact in the operation afterwards. 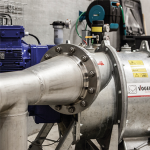 A huge work is put into teaching you how the separate parts work and how you get the most out of your biogas plant. Watch the video on the right to learn more about the process.